“It’s flying, Mommy! It’s flying!” my three year old screamed with excitement. Just this past Halloween, my daughter was an astronaut, and with her love of aircrafts I knew she’d just love Little Tikes: My First Flyer. It was one of her favorite Christmas gifts and has proven to be one of her favorite toys because as with most children, they tend to move on to the next “big” thing leaving yesterday’s toys discarded, but not this one! Almost every day after school Quinn will ask me or her father, “Can I fly my helicopter today?” It’s a cool little gadget appropriate for her little hands with a basic remote control that allows her to fly, steer and land the helicopter. Also, it took her no time to figure out how to use it. It comes in red or blue with white trimming and even has sound effects as it takes off and lands. Needless to say my husband, who is really into aircrafts and even has his undergrad degree in aerospace engineering, enjoys using this toy just as much if not more than my daughter. While the regular price is just about $45, I managed to get it for just $26.99 from Toys R Us during one of those one day blockbuster deals. I did read some reviews claiming that it is flimsy or that the propeller breaks easily, but we haven’t had that experience at all, especially considering how rough and heavy-handed my little girl can be with her toys. Actually, for us this is not just a toy but it helps with coordination, direction and patience with flying, steering and landing the helicopter. I’d highly recommend My First Flyer to anyone who has a child expressing interests in aircrafts or just vehicles in general. Here’s a little video to demonstrate the excitement my daughter had on Christmas day seeing the helicopter fly. Food for Thought: Thank You for Trying Something New, Little Girl! “No thank you!” is usually the response I get when I offer my three old food she’s never had before or just believes is yucky, which is just about everything. With her being in preschool for the past four months, it’s been a struggle to find a lunch she will eagerly eat. Almost always, her lunch box comes back with half eaten or barely touched meals. I often remind her about how just a year and a half ago she was open to eating all kinds of foods, but as her independence and voice has increased, her willingness to try new foods has diminished. While I know this is the plight of many parents, I think my daughter just might be changing her tune when it comes to trying new foods. This Saturday, we had a dinner date with my sister and niece and ordered some wings as an appetizer. Initially, Quinn had no interest in trying the food and even handed me her little saucer and said, “No thank you, Mommy. I don’t want any.” Since I know she is a finicky eater, I did not plead with her to try one. But then, on her own, she said, “Mommy, I want to try a piece of celery!” I was astonished and responded with a smile on my face, “Sure, you can try a piece.” As I suspected, she didn’t like it so much, but I was proud that she took a bite. Then shortly thereafter she asked to try a piece of the carrot and said she liked it. We all were surprised. Figuring that this was an anomaly but not wanting to let this newfound interest in trying new foods go to waste, I prepared salmon for dinner today, and I am proud to report that she actually ate it and said she liked it. I know it took me years to try new foods, all the way up to adulthood, so I’m hoping to break that cycle with my daughter and continue to introduce her to healthy and yummy foods. 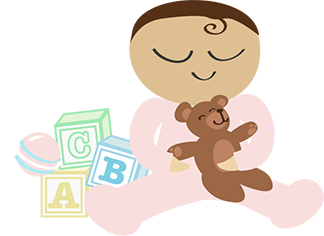 Just about three years ago I started my “Mommy’s Baby Steps” blog chronicling my experiences as a new mother and the experiences of my little girl discovering the world around her. It’s been a wonderful experience, and I love being able to look back on some of the entries I’ve composed to see how much we both have grown. Snow Much Fun With My Little One: (Posted onJanuary 24, 2016): We haven’t had much snow yet n 2017, but last year’s moment was fun for us both. Quinn actually remembers being in the red sled and has asked me on multiple occasions when it is going to snow again so that she can use it. What Would We Do Without It Wednesday: Let’s Exercise with a Shake Break (Posted on February 24, 2016: My little girl, loves to exercise and get moving. Even a year later, she wants to do a “shake break.” It’s a great way for us to spend time together and exercise. Terrific Toy Tuesday: Boy Oh Boy, Race That Car Girl” (Posted April 12, 2016):Quinn still loves playing with cars, and I love that she enjoys all different types of toy without them being designated as “boy” or “girl” toys. Simple Sunny Sunday Sayings From My Little Girl (Posted on April 24, 2016): In 2016, Quinn has bestowed so much wisdom, often beyond her years. This post was just one of the many examples of how she teaches me everyday and still does. What Would We Do Without It Wednesdays: The Roller Coaster of Life (Posted on July 27, 2016): My little girl had just turned three in May, and she was such a brave girl getting on a roller coaster for the first time. This moment just reminds me of the many more milestones we both have in store in the future. Terrific Tuesday: The First Day of Preschool (Posted September 6, 2016): This was a major change and milestone for Quinn and for me and still is ongoing. I see her now interacting more with the teacher and her school friends and enjoying the many activities. When people say, “Where did the time go?” I definitely can relate to that statement, but having these blog entries is a terrific way to reflect back on memorable times as a mommy with my little girl. What a “Happy” Way to Bring in the New Year (2017) with My Little Girl! “Happy New Year!” My three year old bellowed out with joy as she grabbed as much confetti as her hands could hold and put into her crazy paper bag hat. For the third year in a row, on December 31st, my husband and I took our daughter to the Please Touch Museum to bring in the new year for their countdown until noon event. With each passing year, Quinn enjoys it more and more. This year, she proudly counted down starting at 30 seconds eager to blow her noise maker horn. Another New Year’s Eve tradition she looks forward to is bringing in the new year at my brother-in-law’s home. But prior to setting off to their house, we attended a Kwanzaa celebration which is usually held prior to New Year’s Eve. It was a great time filled with activities, learning about the principles of Kwanzaa, music, food and community. Needless to say, with three outings, it was a packed day, and my husband and I both wondered if Quinn would be able to stay awake until midnight without being cranky. Luckily, Quinn and I both were able to get cat naps in between each event, so we both were up and ready to party with our family to bring in 2017. “I want to bring all of the confetti I collected at The Please Touch Museum to Uncle Scott and Aunt Dee’s house,” Quinn informed her father and me. “I can’t wait to throw it in the air and say, “Happy New Year!” she said with excitement. Her wish was fulfilled as we all counted down together, and she along with our other family members threw confetti and noise makers too. Just thinking about how much she has grown and matured throughout the course of 2016 leaves me in awe. Just thinking about how much I’ve grown as a mother leaves me feeling blessed and motivated about my journey and the baby steps I will continue to take in the years to come. As I said in my 2015 post leading into 2016, “I am so happy and blessed that I was able to bring in the new year with my husband, daughter and family.” Here’s to an awesome 2017!